Panasonic Air to Air Heating and cooling solutions in Essex and the South East. 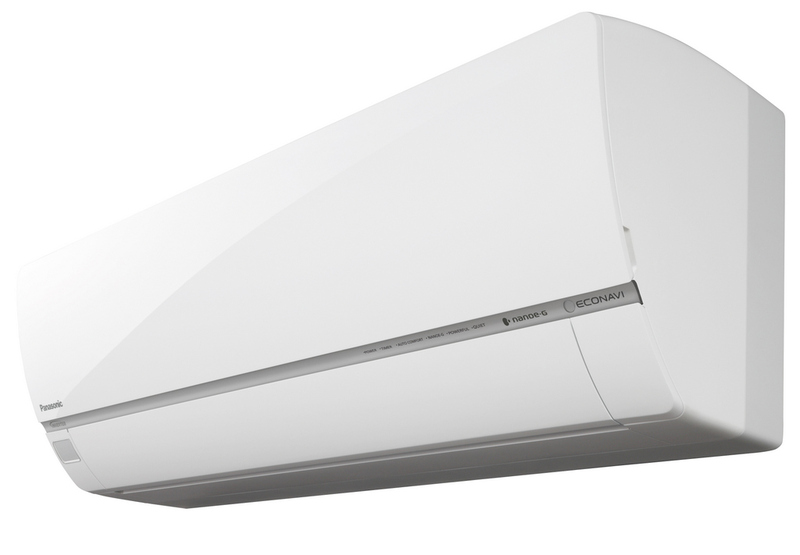 We supply install and commission the Panasonic Etherea range of Air to Air Heat Pump/ Airconditioning units. These units have industry leading COP figures. Put simply , for each kW or unit of energy consumed by the unit , over 4.5 kW or units of energy are delivered to the room space. Overnight on an economy 7 tariff this can be as low as 1.3 pence . Gas or any other fuel cannot compete with the the latest air to air heatpump technology. Panasonic Etherea heatpump indoor unit. PV Renewable Energy ltd Install and service air sorce heatpumps (Ashp) in local areas such as Witham, kelvedon, Maldon, Danbury, Braintree and Great Dunmow. Heating and cooling solutions in Witham Maldon Chelmsford and colchester using Panasonic Etherea Air to Air Heat Pumps.